LAS VEGAS (AP) — A broken latch was found on the door of a Las Vegas Strip hotel room where two Vietnamese tourists were killed two weeks ago, according to court documents, but hotel officials said Friday it was not clear if the lock was broken before the slayings. A filing released this week in the murder, robbery and burglary case against Julius Damiano Deangilo Trotter, 31, describes a method in which would-be thieves walk hotel hallways checking room doors to see if they’ll push open. The day after Sang Boi Nghia and Khuong Le Ba Nguyen were found stabbed to death June 1, employees of the Circus Circus hotel determined the door latch to their 21st-floor room didn’t work properly, according to Trotter’s arrest warrant document. The police report did not say whether a faulty latch allowed Trotter to allegedly enter the room, and an MGM Resorts International official said it was not clear when the latch was broken. Circus Circus security officers conducted routine patrols of the hotel hallway the night of the slayings and found nothing amiss, company spokesman Brian Ahern said in a statement. Trotter was arrested June 7 after a car chase in Chino, California. He remained jailed Friday in a San Bernardino County jail in Rancho Cucamonga, California, pending his transfer in custody to Las Vegas to face charges. The police report said Trotter was identified on Circus Circus security video carrying a blue backpack that police believed belonged to Nguyen. The report also identified a woman who police say met with Trotter at the hotel and accompanied him to the Palms resort just off the Strip. Officer Jacinto Rivera said Friday the woman has been interviewed by police and was not arrested. He said she was considered a person of interest in the case. 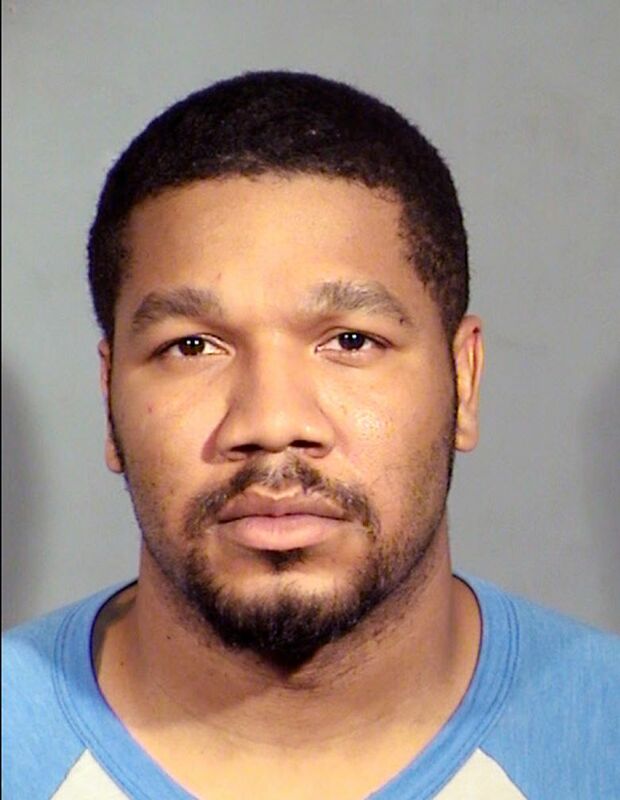 Trotter, who has a prior felony history in Nevada, also was identified as the suspect in a May 16 beating and robbery of an 81-year-old woman at a downtown Las Vegas hotel.